Welcome back to the 12 DIYs of Christmas! Today’s is some simple and personal Instax tree ornaments. I have always loved the wonder of instant film – its so fun to watch your photos instantly develop in front of your eyes! It’s also great to have a tangible memory of something, whether that be weddings, holidays or special occasions. And to be honest, I never end up doing anything with the digital photos I take! Most of them sit in a folder on my phone or on a hard drive somewhere… Am I right?! For this DIY you can use any instant camera, but I love the Fujifilm Instax Neo 90. It’s a step up from their Instax mini 9, includes extra features to let you customise your photos a bit more and has a retro look. It would make a great Christmas present! While I do have my instax photos on display, I love the idea of putting the extra special ones on my Christmas tree, like collecting sentimental ornaments each year. This year I also got a real Christmas tree for the first time, and realised just how lightweight you need your ornaments to be! 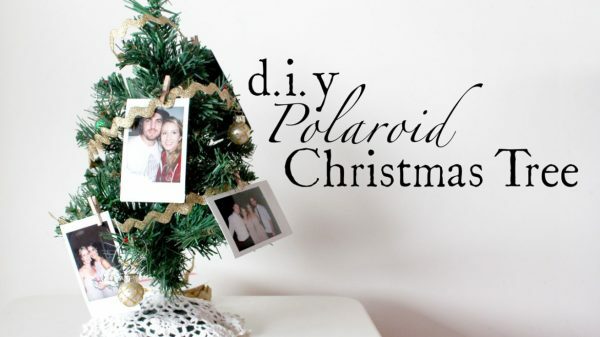 These DIY Instax tree ornaments are a great option for artificial as well as real trees. Firstly, I painted some instant photo magnets to suit my tree. This year I’m going with whites, neutrals and a little gold. You may have Instax memories from past occasions or you can make some new ones and take a few pics of your loved ones. I’m lucky enough that our wedding photographer knew about Instax six years ago when we were married, and snapped a few instant pics for us to see on our day. My other memories are from friends’ weddings, traveling and of course our little Coco the frenchie! Take your pictures and stick them to the back of the frames with double sided tape. 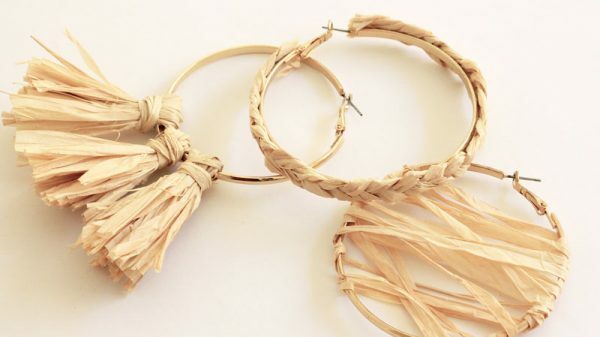 Make a loop to hang them with out of tape, twine or other. Hang your new Instax tree ornaments!